Until now, architects have had few ways of expressing themselves when faced with a palette of emojis. The dull depictions of a hospital, hotel, or town hall simply do not suffice the range of architectural expression in the modern world. Cue Alexandra Lange and Curbed, who recently launched Archemoji. The name says it all. Emojis, whether you like it or not, are part of modern day life. Last year, the Oxford English Dictionary officially added "😂", or "Face with Tears of Joy", and so it's probably only fair that the architecture scene got in on the act. After all, Kim Kardashian has already added her own set, Kimoji. Thankfully, #Archemoji has taken twitter by storm, trending for all the right reasons, and now there's even a quiz that lets you know what specific Archemoji you are. 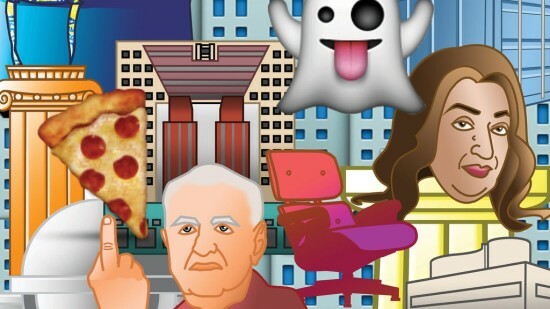 https://twitter.com/kelseykeith/status/702869324118286336 With Archemoji, you can now swear at someone with Frank Gehry without having to source a meme from the web. You can let someone know you disapprove with the disapproving-Zaha emoji, or passively send them a Doric column to let them know how basic they are. 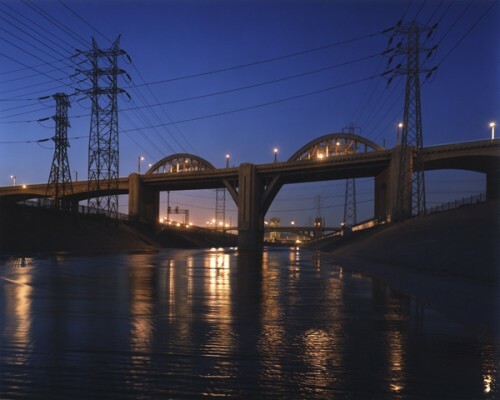 Denise Scott-Brown's power-stance, Lange's favorite, is also featured. Quite how emotionally liberating Archemoji's will be remains to be seen, though Lange points out that the common dilemma of articulating yourself through emoji's to say "fell into a Brutalism rabbit hole online" has now finally been solved. "Won’t it be nice to just say Heart + Villa Savoie? Or Side Eye + Shipping Container? Sadly, I know I’m going to get a lot of use out of Heartbreak + Wrecking Ball + Boston City Hall, as yet another heroic concrete building goes down," says Lange. Given the severity and number of challenges facing Detroit, streetscape improvements might not seem like a very high priority. But in the Motor City's Midtown, one of the city's relatively resurgent neighborhoods, a local planning non-profit is betting that encouraging more bicyclists and pedestrians will be a boon for the area. 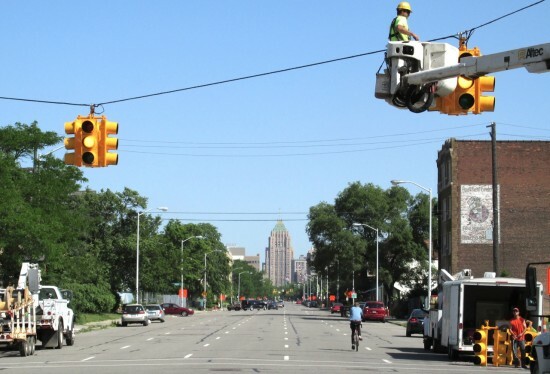 As a result, Detroit may soon get its first buffered bike lanes. Between Temple Street and Warren Avenue, Midtown’s 2nd Avenue is the target of a substantial road diet, as first reported by ModeShift. As Curbed Detroit put it, “The street is practically wide enough to land a jumbo jet, so carving up this turkey will provide cyclists and drivers with large portions of road,” creating a backbone for bike infrastructure between Wayne State University and the waterfront. The 5-foot bike lanes would run for approximately one mile on both sides of 2nd Avenue, separated from 8-foot parking and 11-foot drive lanes by a 3.5-foot, diagonally striped buffer. Midtown Detroit is pushing the diet as part of a larger campaign to repurpose a slew of extra-wide and outmoded one-way streets in the city’s central business district. City Council has already approved the larger project, which includes opening 2nd Avenue to two-way traffic. In 2012 work began on the "Midtown Loop," which turned two downtown one-ways into two-way streets and made bike lanes out of car lanes in this district dense with cultural institutions and new downtown development. ModeShift reports the project should cost $200,000 plus inspection fees. The Michigan Department of Transportation will oversee the work, which is expected to win some federal money. MDOT previously authorized $1 million for non-car "enhancements" along Cass Avenue in 2014. As MDOT gears up to revamp I-375, alternative transportation advocates are pushing for green space and pedestrian-friendly accoutrements in the wake of the downtown highway's car-centric legacy. Parking Slope. A parking lot in Park Slope, Brooklyn could soon sprout an 11-story, 166-room hotel designed by Doban Architecture (pictured above). 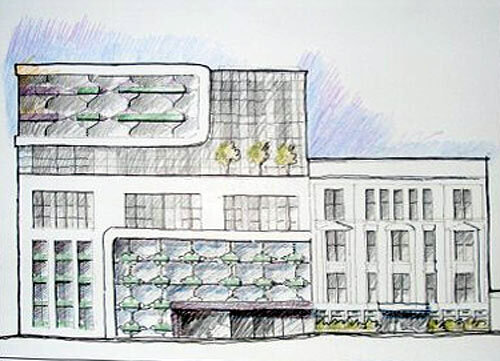 Curbed stopped by a community meeting last Thursday and reports Hotel Grand Prospect has extended the neighborhood an olive branch in the form of a 400-car parking garage which has won over some community members. The project is still in its early phases and traffic and environmental studies have yet to be completed. (More at Curbed.) Superstreet. North Carolina State University just published a study about a time-saving (for cars) intersection layout called the "superstreet." While researchers show the layout reduced automobile travel times and improved the car-crash rate, the aerial view shown on the NCSU page looks far from super in terms of multimodal transportation options. No sidewalks or crosswalks (and a super-low density neighborhood) could easily outweigh the "superstreet" benefits. (Via Urban Planning Blog.) Lost Brother. Located in the middle of the East River, North Brother Island and its quarantine hospital have been abandoned for 48 years resulting in some amazing ruin photography. Richard Nickel, Jr. at the Kingston Lounge has posted a series of photos from the island along with its history. Owned by the New York City Parks Department, Brotherly Island is closed to the public and is a protected nesting ground (Via Gothamist.) High Speed Fighting. California's battle for High Speed Rail races on. Secretary of Transportation Ray LaHood wrote in to contest an anti-High Speed Rail editorial in the Washington Post last week. LaHood opposed the notion that the west corridor isn't dense enough to support the proposed rail system. The fight won't be over for a long time, so stay tuned. King. Happy Martin Luther King, Jr. Day! Check out AN's recent coverage of the planned $20 million upgrades to the National Civil Rights Museum in Memphis at the Lorraine Hotel where King was assassinated in 1968. Is it really possible to make your house too green? California may not think so, but a Harlem brownstone is finding that to be the case. Last week, Curbed spotted 151 West 122nd Street, which the realtors declare to be the "greenest house in Manhattan." While there are a few others that might argue for that throne, this one holds the title by apparently being the first standalone townhouse in the borough to achieve a LEED rating, Silver to be exact, courtesy a Better Homes and Gardens makeover. But all that green cred is not translating into green credit, as the building's price has fallen from $4.05 million some 17 months ago to $2.79 million. 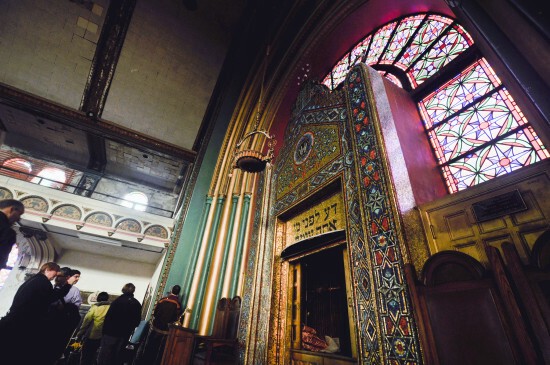 At least one critic, gadabout blogger Harlem Bespoke, has complained that the problem is the project has forgone its charm for slick environmentalism—there's no brownstone left in this brownstone!. Could this be the case, as ArchNewsNow turned up more green backlash today? Or is it simply the fact that no one is willing to spend this kind of money, no matter how nice a house, in Harlem? The recent building boom has proven to be as much about what got built—40s Bond and Mercer, One Bryant Park, the High Line—as what hasn't—our Gehry Guggenheim, ample affordable housing, so much of the World Trade Center, not to mention Dubai. Our good pals at Curbed New York, so often trafficking in our real estate dreams and nightmares, have put together a run-down of their top 10 projects that never got built. Starting with Harlem Park, the would be flashy headquarters of the MLB Network and one-time anchor of the 125th Street rezoning, the list concludes with Santiago Calatrava's 80 South Street, those wild townhouses in the sky just left of the Brooklyn Bridge. 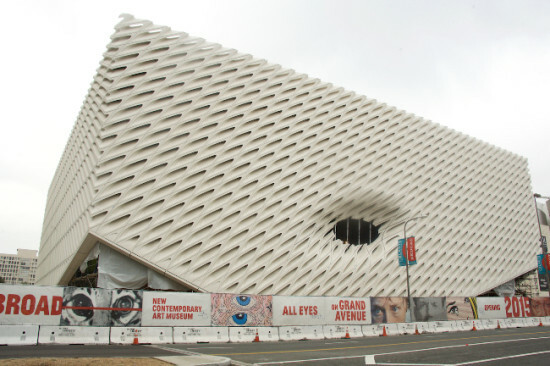 What's interesting about the list is how much many of the big name architects—Piano, Mayne, Herzog and de Meuron, Gehry—still managed to build in the city, which is to say one out of two ain't bad. Even Calatrava may make out if they ever finish the PATH station. That said, Curbed LA and SF are absent lists, unlike when all three sites ran their best of, so if you do have any suggestions, by all means make them below. When Boston's Emerson College chose to open a satellite "campus" for students studying and interning in LA (it's really just one building), the school would have been hard pressed to find a more suitable architect than Thom Mayne. After all, Morphosis has had a string of academic successes of late, including the new 41 Cooper Square in New York and the Cahill Center for Astronomy at Caltech. 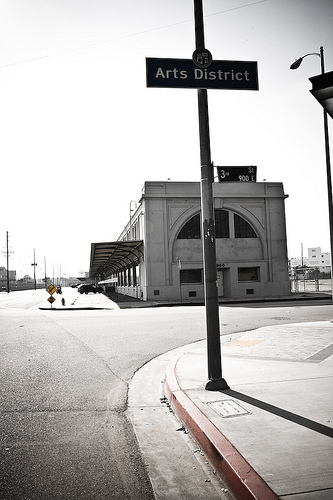 Indeed, some of the firm's earliest successes were two high schools in Southern California. 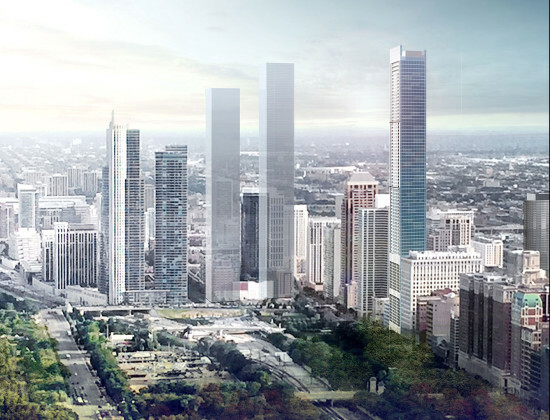 Now, Curbed alerts us to this latest project, complete with the above rendering. The details are kind of sketchy, though we do know there will be 224 residences in that La Defense-like box with classrooms in the inner blob, which is, like, so Thom Mayne.